The name of the cake says it all! 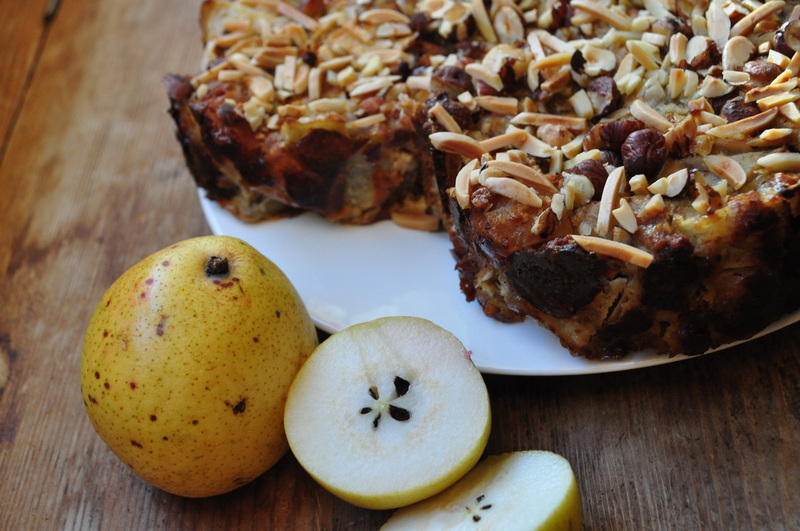 It is an apple and pear crumble in cake form and comprises 90% apples and pears. I love making this cake in autumn when these fruits are at the height of their seasonality, but you can make it at any time with any variety of apples and pears available to you. This cake does need to rest in a fridge to allow it to take form as a cake, but if the tantalising smells from the oven are too tempting you can choose to eat it hot, and it does make a great warming dessert on a cold autumn night! Preheat oven to 180 degrees celsius. Line a 22 cm spring form baking tin with baking paper. 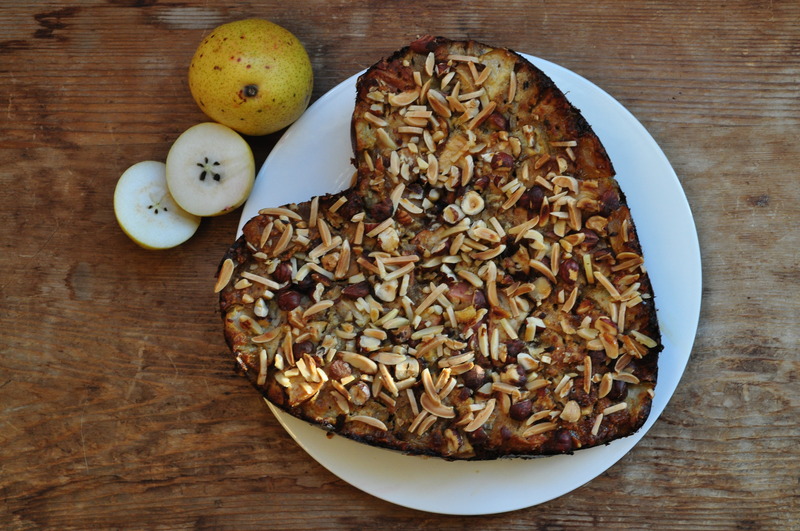 Combine the apples, pears, hazelnut meal, 1/2 cup of the hazelnuts, almonds, and cinnamon, leaving 1/4 cup hazelnuts to be scattered over the top of the cake. Beat the eggs briefly with a fork. Add the beaten eggs, runny honey, vanilla extract, and oil to the fruit mix and stir through until well combined. Pour the cake mixture gently into the baking tin and press the fruit down firmly. Bake for 90 minutes. Remove from oven and allow the cake to rest in the fridge overnight or for a minimum of 3 hours and serve as delicious, healthy cake!